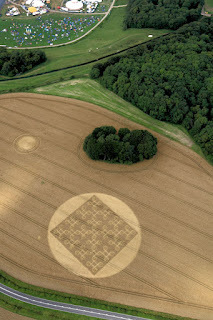 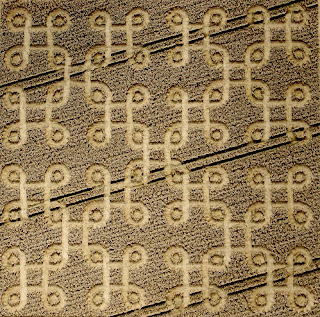 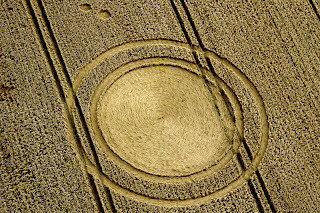 2 Crop Circles were reported at Cheesefoot Head near Winchester, Hampshire on the 9th of August 2012. 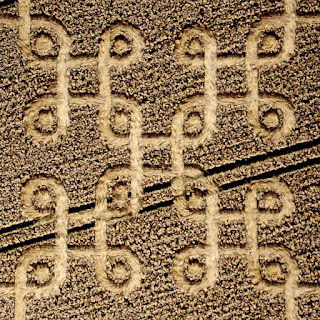 The design appears to be of Mayan origin ... looks like an alchemical symbol, Quincunx. 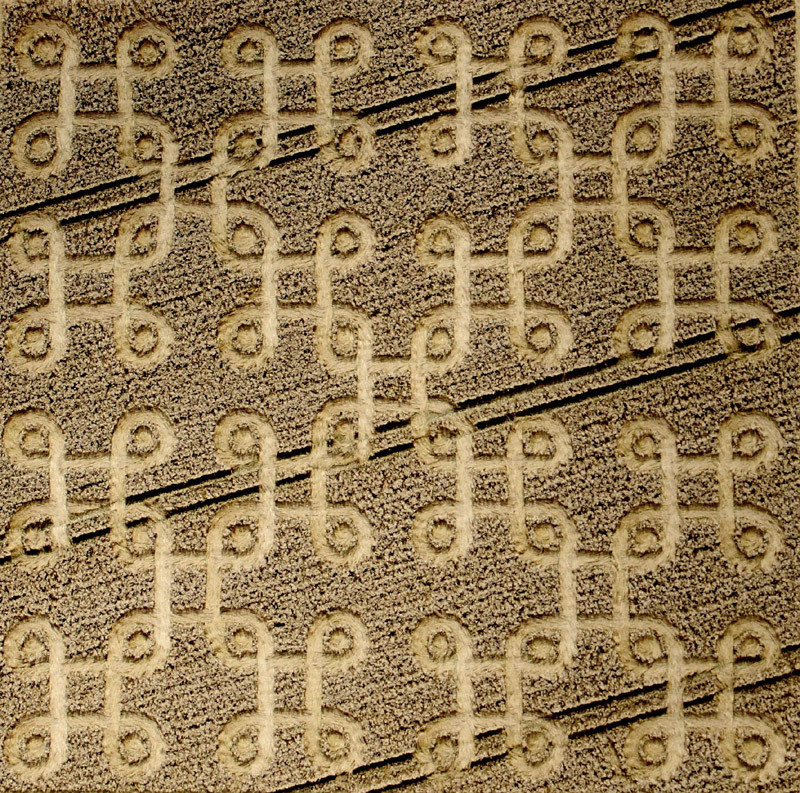 Qunicunx, is an arrangement of five figures within a square. 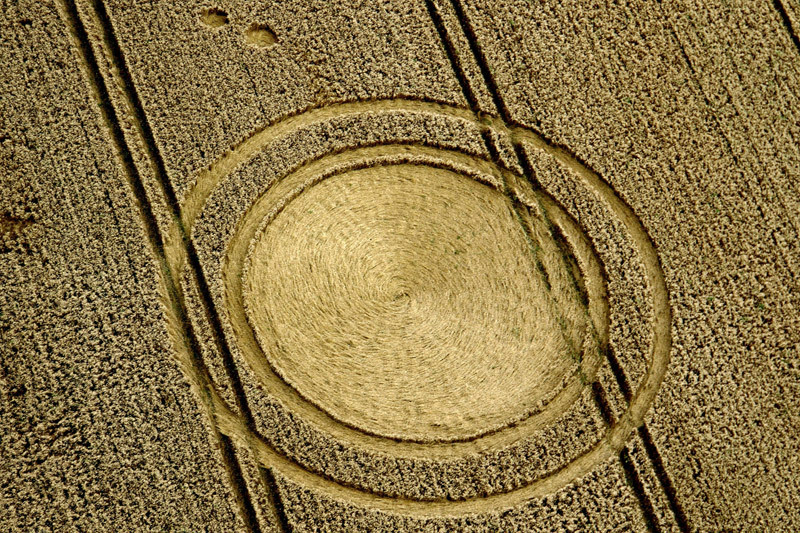 Historically, it has infused the worlds of nature, man and the stars. 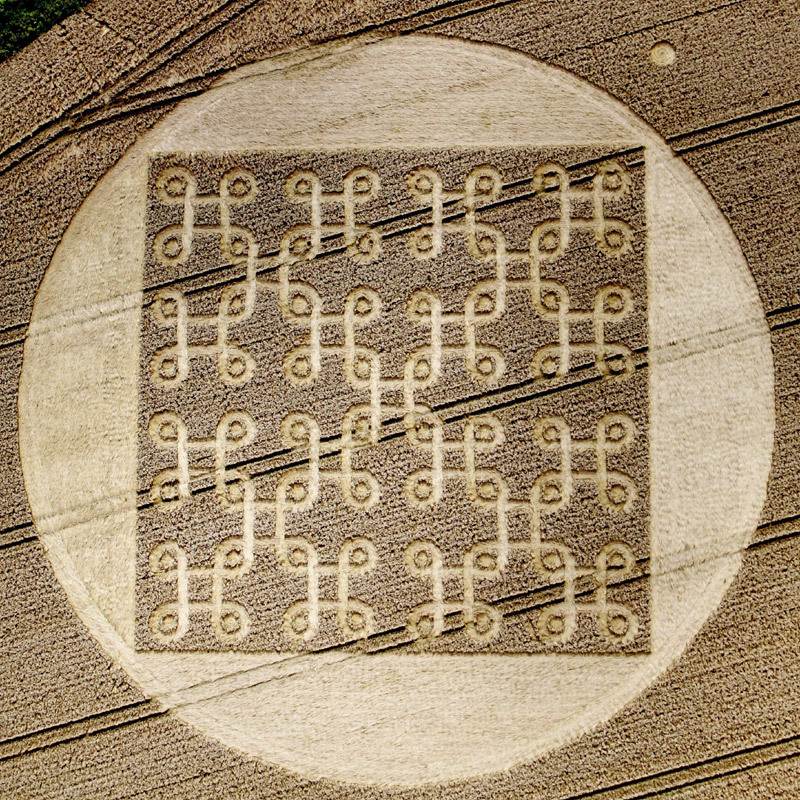 As an ancient alchemy symbol, it represents the whole being more than the sum of its parts. 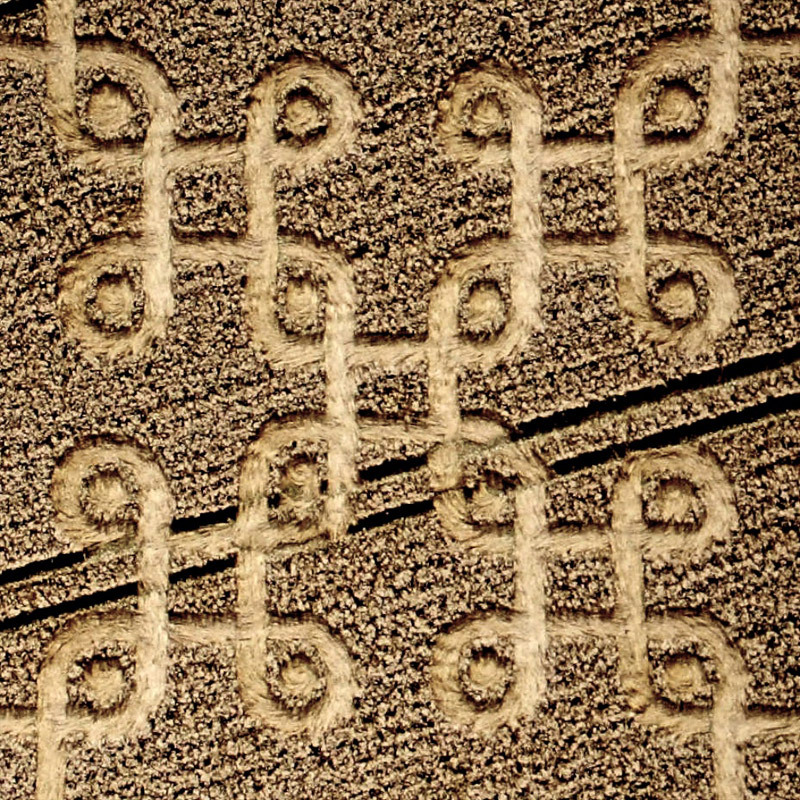 In the alchemical mineral world, the quincunx occurs in the formation of metals, in atomic structures. 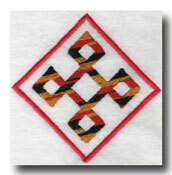 Additionally the quincunx represents (wo)man's ability to cross from four to five his/her nature. 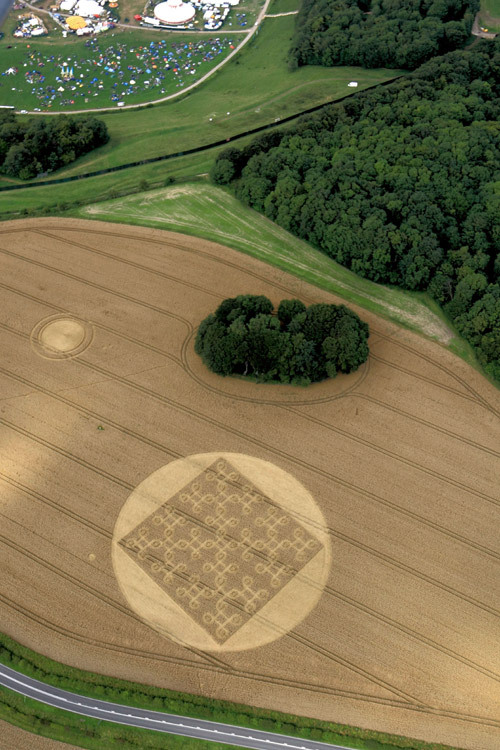 Meaning we all possess the four levels of physical matter (stone, plant, animal, man) and we are able to ascend from these four elements to the final fifth – which is godlike or enlightened stature. 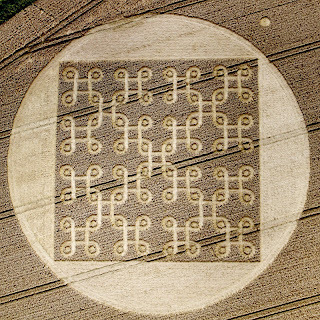 I personally think its the anklet of Lord krishna and August 10th is the birthday of lord krishna, I think this crop circle would be someway connected to it.